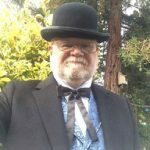 Our colorful hat bands are a great way to dress up any hat, and some of our customers have asked us for instructions on how to attach them. Look at the ends of the hat band. There are two small hooks which will hold it in place. When the hat band is on the hat, one side will be overlapping the other. Choose which end you would prefer to be on the inside, and use that hook for the next step. Hook one end of the hat band into the existing hat ribbon, near the base of the ribbon. Make sure it is firmly hooked into the ribbon. The hook will leave a small hole behind, so it is helpful to put the hook into an inconspicuous spot so that the hole is not visible later. 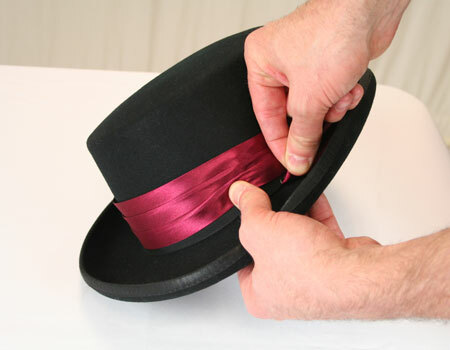 If your hat does not have a ribbon, you may hook it into the surface of the hat. 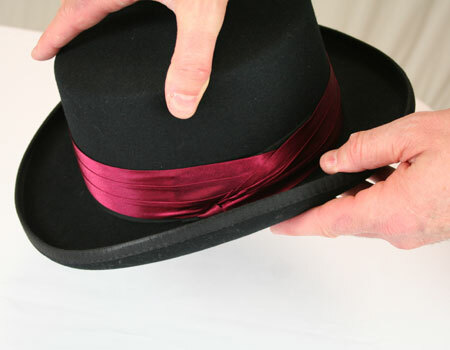 Wrap the hat band around the base of the hat's crown, smoothing it so it lays flat. Wrap the hat band the rest of the way around the hat, overlapping the hook from step 2. 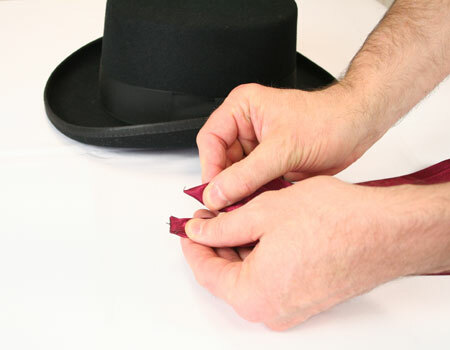 Hold the hat steady and gently tighten the hat band around the base of the crown. 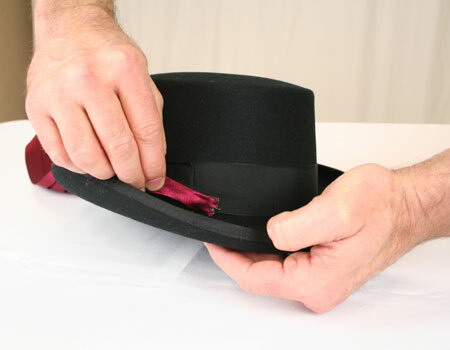 Do not overtighten, or it may crush the hat or the hat band may slide up the crown. The next step is to hook the other end of the hat band into the underlying hat ribbon. 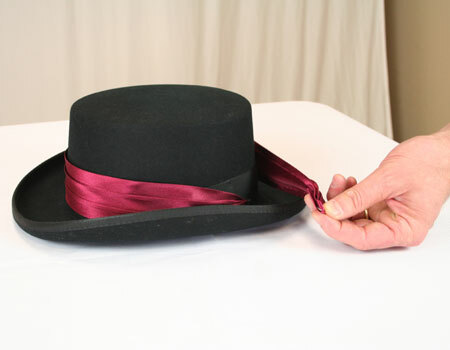 Using your other hand, pull the hat band up slightly to expose the base of the ribbon, and put the hook firmly into the ribbon to hold the hat band in place. 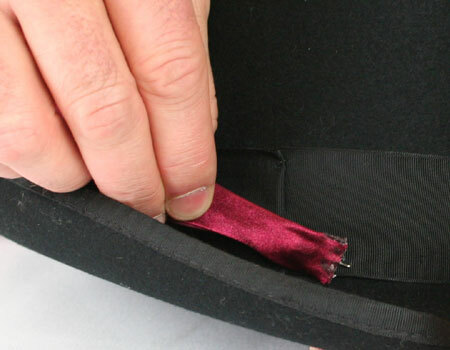 Once the hook is in place, you can smooth the hat band back down over the hook and it will be mainly hidden. 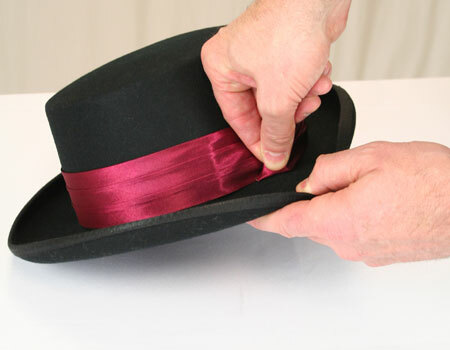 Once the hat band is in place, tidy up the ends and smooth any wrinkles. You're ready to go!